Shop Registration Services offered is offered by experienced professionals who hold expertise in offering services for Shops Registration in India. NAS Solutions, helps you managing your legal compliances under HR i.e. (ESIC, PF, BONUS, GRATUTIY) that are very vital for the Pvt. Sector organization to follow.ALS not only help in managing these compliances but also provides accuracy in management with zero negligence. The shop Act Registration is an important subject for all kind of Small and Big Shops Which is situated in India. Shop Act Registration must be registered in the particular State where it is located. ARS is shop act registration consultants in Gurgaon, shop act registration services in Delhi. 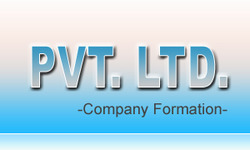 Company Type: Inspection, Certifications & Auditing in Management Systems, Product Certification & Testing Services. We are instrumental in offering a comprehensive range of Shops and Establishment Act Registration Service. With the help of our expert team members, we have been able to provide Shop Establishment License Service.